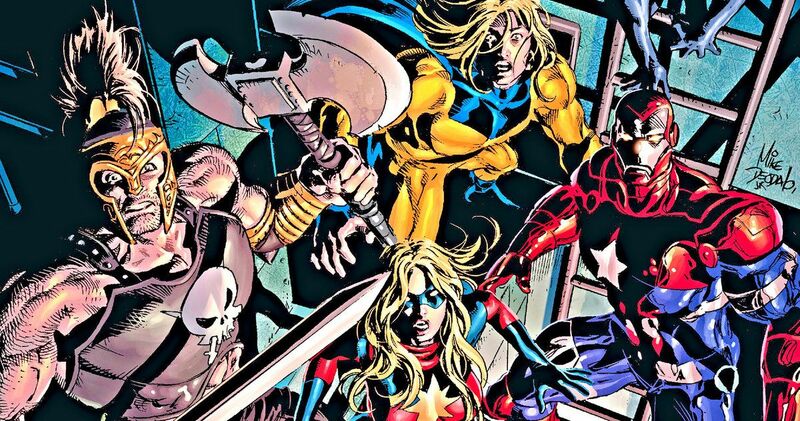 Is Marvel Planning a Dark Avengers Movie? Marvel Studios may have a finished script for a Dark Avengers movie, according to sources. The Marvel Cinematic Universe has been hugely successful over the last decade, and part of that can be attributed to the studio’s attitude towards making a variety of different projects that doesn’t put the focus on one set of characters. We’ve seen Ant-Man, Black Panther, the traditional Avengers, Guardians of the Galaxy, and more all interact within a shared universe that has worked out brilliantly for Marvel Studios. Now, it looks like Phase 4 of the MCU will go even deeper. A new rumor states that Marvel Studios has commissioned a script for a possible Dark Avengers film and that the script is complete. It isn’t clear who wrote the mystery script, but the idea of the project will certainly be exciting for fans who are wondering what Phase 4 of the MCU will look like. It should be noted that Marvel Studios probably has a mountain, or at least a hill, of completed scripts for possible projects that may or may not get into the development stage. The Dark Avengers are a team created by writer Brian Michael Bendis and artist Mike Deodato following the Secret Invasion event. As the name suggests, these Avengers aren’t exactly on the up and up and have some ulterior motives. Norman Osborn restored his reputation with the public after the Secret Invasion by killing the Skrull queen and formed the new Avengers team under the H.A.M.M.E.R. name, replacing S.H.I.E.L.D. The team includes Osborn in a different Iron Man suit, under the name of Iron Patriot along with Moonstone who is disguised as Ms. Marvel and Scorpion, who is disguised as Spider-Man with some extra juice from Venom. Bullseye, Daken, Noh Varr, Ares, and Sentry are also on the team. It would be pretty awesome to see Marvel’s version of Suicide Squad with the villains taking the lead. It would also be a pretty large gamble, considering what Marvel Studios has done so far. However, the Dark Avengers actually did some good acts while they were together, so they weren’t all bad. In the end, another Avengers team looked at through a different lens would make for a pretty interesting project to explore in Phase 4 of the MCU. Phase 4 of the MCU will kick off with Spider-Man: Far From Home, following the events in Avengers 4. Iron Man and Captain America will more than likely not be included in the next phase, which will leave room for more heroes, or villains, to get into the limelight. Marvel Studios boss Kevin Feige has already implied that Captain Marvel will be taking on a Tony Stark-like role in the new phase and The Eternals movie is also on the way. The Carol Danvers standalone movie will introduce the Kree-Skrull War, so it would definitely make sense to see the studio head into the Secret Invasion afterwards with a Dark Avengers movie. This report originated from That Hashtag Show.